The Cyntara Development Team is proud to announce that Cyntara v11-s2 will be released February 9, 2019. This post will contain the majority of information regarding the recent changes. Cyntara v11-s2 will bring back the noobzone. For those unaware, the noobzone was a PvP Arena that allowed only players of level 600 to enter without items for an even PvP playing field. In this iteration, we are bringing multiple quality of life improvements to the Arena system. » Players above level 600 will now be able to enter the War Arena and have their level automatically scaled down to 600. » Players can enter with any gear they'd like without having to take it off prior to entering the arena as the gear stats will be disabled. » Players will have their magic level, skills, resists and weapon damage scaled to the same level regardless of their actual stats. » Equipment bonuses and enchantments will be disabled in the War Arena. » Stats such as life leech, mana leech and critical strikes will be disabled in the War Arena. » Runes will be infinite and potions disabled. » Players will automatically receive basic set of supplies when entering the arena so that they do not have to carry lower level variant of PvP supplies with them. » The frag rewards have been revived and moved as part of the War Arena system. Do not be alarmed if you do not always get granted a frag as there is an algorithm in place to prevent abuse cases. Players will now be able to improve the quality of their items. All items will drop with 0% base quality which can then be improved using Blacksmith's Chisels, up to 20% quality. Blacksmith's Chisels can be obtained through various activities on Cyntara such as Dungeons, Tasks, Bosses and more. The amount of Blacksmith's Chisels you will obtain while participating in those activities should be enough to improve the quality of you inventory as you go instead of hoarding them until you obtain your end game gear. For each 1% of quality, shields will receive 1% of defense bonus, armors will receive 1% of armor bonus and weapons will receive 0.5% of attack bonus. This may be a little tricky with distance weapons such as bows and crossbows so to help players figure out what's the effective bonus they are receiving from the quality, looking at an equipped bow/crossbow while also having ammunition in the ammo slot will now display the effective attack from ammunition and weapon bonus with the quality bonus applied on top of that. Additionally once you reach quality milestones of 10% and 20% the items will turn into their superior and exceptional versions respectively. Superior versions of the items will receive a +1 bonus to inherent magic level and skill stats whereas for exceptional versions of the items the bonus is raised to a +2. For example the Vengeance Sword has 295 Attack and +4 melee skill bonus, at 5% quality the same sword will have 302 Attack, at 10% quality 309 Attack and +5 melee skill bonus, and at 20% quality 324 Attack and +6 melee skill bonus. Every two hours, four sets of Boosted Creatures will be automatically selected at random. The Boosted Creatures are sorted by tiers: Easy, Medium, Hard, and Nightmare; the Boosted Creatures tiers are grouped identically to the Prey Tasks. Moreover, for spawns with multiple creature types, all creatures in this spawn group will be boosted. Slaying boosted creatures will yield additional experience points and loot. 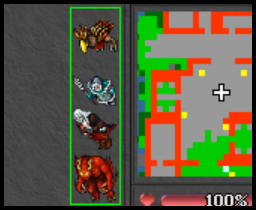 » Dungeons: Increased experience, artifact power, and loot drop from dungeons. » Events: Increased rewards for participating in automated events. » Tasks: Increased experience and task points from tasks. » Prey Tasks: Increased perk bonuses and rewards from prey tasks. » Loot: Increased loot drop from monsters. » Professions: Increased chances and gains from mining and alchemy professions. Paladins often would fill the role of a knight without any real drawbacks, to combat this issue we are introducing range based damage scaling for ranged weapons. Players will now receive a 30% damage penalty when using ranged weapons in melee range, for 2-4 SQM range the damage is considered neutral and will work exactly the same way as before and for any range above 4 SQM, players will now receive a 5% damage bonus per extra SQM. Additionally using ranged weapons will now display a range indicator on the target creature which will change the color depending on the current modifier, red indicator for damage penalty in melee range, grey indicator for neutral damage and a green indicator for damage bonus. We are also adding a new store exclusive cosmetic offer that lets players use simple visual effects in place of solid colors on their outfits. These effects can be mixed and applied separately on each body part. Currently there are five outfit effects available - rainbow, space, neons, infernal and glacial. Click here to see all of the outfit effects! We will look into improving the current effects and adding new ones in the future. The outfit effects can be previewed in both the Cyntara Store and the outfit window. Please keep in mind that some of the visuals may slightly differ in the preview window than they actually look like due to canvas size differences. » As the server's season progresses, the strength of quest monsters and bosses will slowly and automatically decline. Effectively, the longer into the season, the easier the quests will become. » Adjusted the requirements for the "Abyssal Trinity" quest to be more ubiquitous. » Decreased the "An Alternate Fate" quest's final mission player requirement from 6 to 3. » Decreased the level requirement for a number of the high level quests; the quest reward use requirements have also been adjusted to match the new lowered quest entry level requirement. » Decreased the wait time to be sent out of Lensine and Arkilius' boss room to 5 seconds now that the boss loot is sent to the player's Reward Chest. » Greatly decreased the required Vampire Lord Tokens in "The Dark Knight of Vanda" quest; Vlad the Impaler's Vampiric Crest now drops as a common item that can be looted to multiple players through the Reward Chest. » Fixed an issue where Ashri was able to send players into spawns that they did not have the required level to enter. Players have been vocal about obtaining Artifact Power outside of dungeons, while in theory the numbers seemed fine, in practice you could complete dungeons at a much higher rate than other types of content that reward Artifact Power. We still want the dungeons to be the primary source of Artifact Power however we have increased the AP gains from other sources; most of them have been effectively more than doubled which should make it easier for people to level their Artifact without actively participating in dungeons. Additionally paladins have now received a shield variant of their artifact weapon. Combined with the range damage scaling this should provide paladins with an option to alternate between offense and defense without excelling at both simultaneously. » The overall experience rates have been lowered per player request. » The Find Person spell will now display the spawn location name of the target player; if you are in the same spawn as the target player the spell will revert to its original message. » Spell level requirements of a number of high level spells has been lowered due to the lowered experience rate. » Teleport Room spawns that have a level 1 requirement no longer display a level requirement at all. » The daily dungeon limit now applies on a per dungeon basis instead of a global limit; this also results in an increased daily dungeon limit. » The Discord bot, Penny, has been revived. » Added "bad luck protection" to Weapon Upgrader Crystals; the crystals will now have a higher chance at success after each use for each upgrade step until an upgrade has succeeded. Players will be able to see this rate upon trying to upgrade their weapon. » Added infinite ammo to the quick switch context menu. » Added Reward Chest notification next to the mail notification in the client. » Added Discord Rich Presence support to the client. » Added gifting option to the in-game store. » Added a new secret quest. » Added the "Boss Duels" event to the automatic daily event rotation at 10:00 and 20:00 EST. 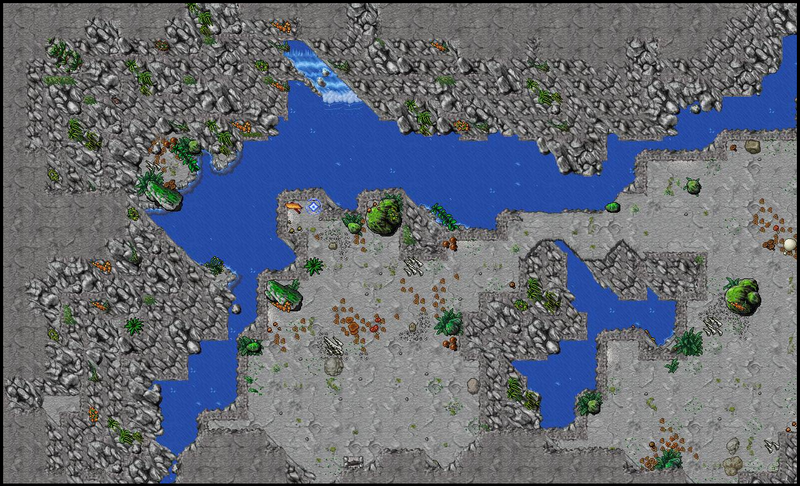 » Added a new high level spawn, "The Arid Plateau". » Added a new raid to Edron, Thais, and Yalahar. » Added the "Adventurer's Stone" item. This item can be used in areas such as Demona to send players back to the temple. » Added the following options to the Cyntara Store: Prey Rerolls, Boss Discovery Scroll, House Teleport Scroll, Boosted Creatures Reroll, Boosted Creatures Extend Time. » Added all of the newest addons and mounts to the game. » Added a 0.1% hp/mana bonus for each full outfit collected. » Added new "Item Indicators" to Charms, Enchanting Items, Alchemy Items, and Artifact Items when they are in player's inventory. » Added an experience bonus that increases based on the number of your guild members that are online. » Added a 4 second exhaust to re-equip an amulet with charges after it has expired. » Added a way for players to tour castles. » Added a helpful "hints" box to the login screen. » Added a client feature where holding down the Shift key will now allow players to repeat "Use With" actions without having to click the same item again. » Added all missing outfit addons to the Addon Master NPC. » Decreased the difficulty of obtaining all addons from the Addon Master NPC. » Decreased the difficulty of the Mine Cart Carnage dwarves. » Decreased the difficulty of Arkilius. » Decreased the Mind Flayer kills required for all Mind Flayer Levers. » Decreased the price of all items offered by Gnomission. » Decreased the health and speed of all Treasure Hoarders. » Increased the probability of encountering Treasure Hoarders. » Increased the drop rate of the extraordinary ice pick from all types of miner. » Increased the rewards from all automatic events. » Increased the health gain per level for Paladins from 15 to 18 and for Knights from 20 to 23. » Increased the number of Shrines that spawn at any given time. » Increased the damage and consistency of Sudden Death Runes. » Increased the damage and consistency of Double Overtime Runes. » Triple Overtime Runes will now deal the same damage as Double Overtime Runes when the target is a player. » Updated the game guides on the website and in the game client. » Improved the behavior and consistency of the teleport room and town teleports. » Improved the Play Points Store offers. » Optimized the client in a number of areas to improve performance. » Adjusted the values of Sharpshooter and Blood Rage spells as well as their ultimate versions. » Adjusted all seasonal catch-up bonuses to start automatically after a certain date. » Adjusted raids to have less predictible timing. » Adjusted the Mining Profession skill rate. » Adjusted the experience bonus rewarded for each task. » Adjusted the notification dismiss behavior in the client. » Adjusted the client to display the effective critical strike chance value in item descriptions and skills panel. » Adjusted the outfit window behavior with regards to selected addons for current outfit. » Adjusted Bookmworm Dolls to grant +3 magic levels instead of +5. » Adjusted the skill catch-up mechanic to now update the values periodically rather than only on server startup. » Fixed an issue with some achievements not being awarded properly. » Fixed an issue that caused the experience bonus prey perk not apply the experience stage multiplier properly. » Fixed an issue where Dhrata could petrify dead players. » Fixed an issue that could cause players to be unable to login under certain circumstances. » Fixed a few instances where players could use teleport scrolls inappropriately. » Fixed an issue where the Dungeon Master NPC was giving players outdated information. » Fixed a number of teleports not sending items in the event that items were thrown on them. » Fixed an issue where the "Abyssal Trinity" bosses did not appear in the Cyntara Guide. » Fixed an issue that caused the client to disconnect when using the ammo and weapon refill functionality. » Fixed a lot of outdated information on the Miscellaneous page of the website. » Fixed an issue that wouldn't let players use magic walls immediately after pushing another player. » Fixed an issue with the item stack count window not working properly under some circumstances. » Fixed an issue that caused the NPC speech color to reset on client restart. Players that have it saved as dark blue may use the Reset button to use the proper color. » Fixed an issue that caused the client to fail to launch on the most recent Windows 10 update. For those of you that haven't been around for too long in the last season, here is a list of past patches to get you up on speed with what changes have been made to Cyntara throughout the season. Fargo, Measter1990 like this post. Yeeeoooooo!!!! I’ve been waiting for something to happen. I knew the server wouldn’t die out.